Gary Garrison is a Pennsylvania native with over 20 years of experience in K9 Training. He earned his NAPWDA license under Franco Angelini, Master Trainer. 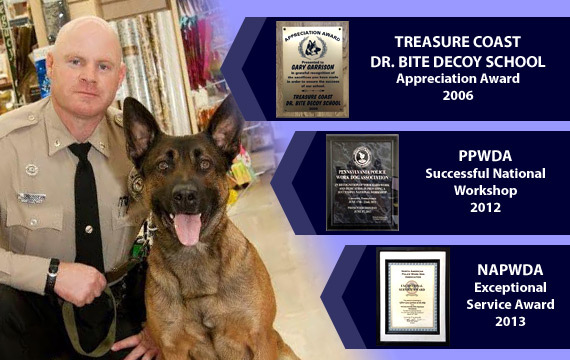 He is the President of Pennsylvania Police Working Dog Association (PPWDA) and Assistant State Coordinator for the North American Police Work Dog Association (NAPWDA). He is also currently serving in Penn Township as a K9 officer. As an owner of K9 Guardian Inc., Gary is Master Trainer of narcotics, protection and explosives. Gary personally hand selects each dog for quality build, temperament and proper pairing with a K9 handler.